Norwegian Escape has come out on top one again in this year’s “Cruise Ship Awards” by Cruise Hive readers. The ship didn’t just win but blew the competition away. The ship also won last year. The Norwegian Cruise Line ship received the most amount of votes in the “Best Cruise Ship Hull Artwork” category in the 2016 Cruise Ship Awards. In a far away second the Royal Princess by Princess Cruises and P&O Britannia by P&O Cruises both received the same amount of votes. In third was the recently launched Genting Dream which is based in Asia and then finally the Aidaprima from German-based Aida Cruises was fourth. Norwegian Escape has one of the most popular hull designs in the industry thanks to famed wildlife marine artist Guy Harvey. In fact, we posted about how the ships hull artwork came together in including a fascinating video as the ship was under construction. Designing the hull artwork and then implementing it on the large hull is a long process which involves laser technology. The design showcases key Caribbean sea life including sting rays, sea turtles, whale sharks and a variety of tropical fish. A sailfish takes center stage as Guy Harvey’s signature piece. The artwork spans a total of 1,000 feet from bow to stern. 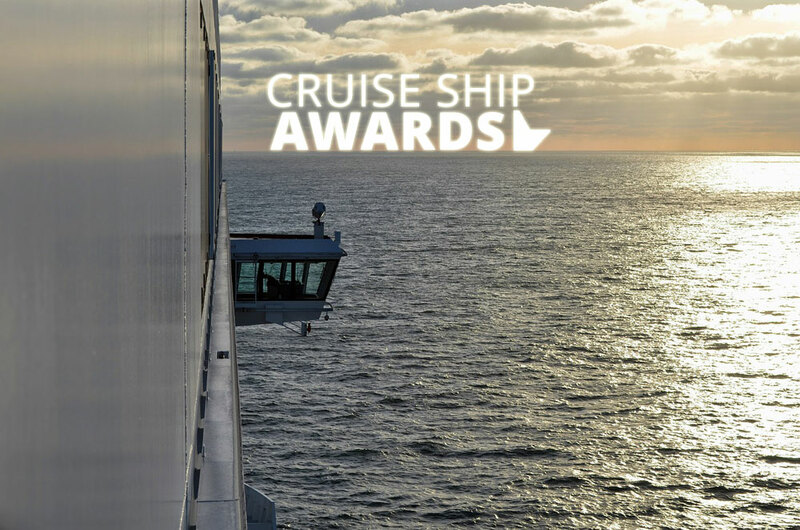 Thousands of Cruise Hive readers voted in this year’s third annual awards. Readers were only able to vote one time in each category and any multiple votes were not counted. New categories were added each month from September 2016 which is unlike any other cruise awards. 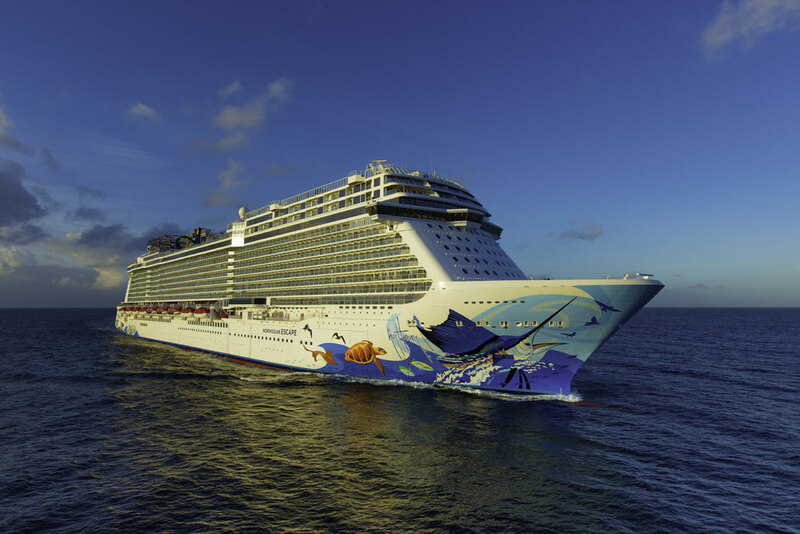 Norwegian Escape is a 163,000 gross ton ship and can carry over 4,200 guests at double occupancy. The vessel is currently sailing Caribbean cruises out of Port Miami and NCL recently announced the ship would replace the Norwegian Breakaway our of New York in 2018.